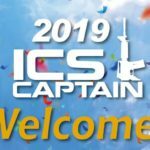 Tillverkaren ICS Airsoft i Taiwan söker airsoftspelare som vill bli ICS Captain 2019 och därmed agera influenser och marknadsföra tillverkaren och dess produkter vid olika tillfällen. Sedan förra rekryteringsomgången finns det sju stycken ICS-kaptener i Sverige varav Klockar är en av de mest kända och aktiva. Sista ansökningsdag är 12:e november 2018. 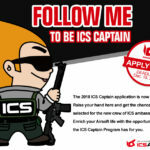 The annual ICS Captain program application is now open! 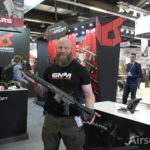 We’re looking for enthusiastic airsoft players worldwide to enjoy their passion for Airsoft and perform the task of a Brand Ambassador for ICS AIRSOFT. ➡️ Are you a proud owner of ICS airsoft guns? ➡️ Do you want to express your Love and support for ICS? ➡️ Are you willing to share what’s awesome about ICS? 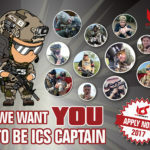 Now it’s your opportunity to join the ICS Captains, expand your connections, strengthen reputation, and grow your expertise in the worldwide airsoft community. 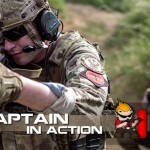 Get new ICS products first-hand and become a well-known airsoft player.